extreme and not standard activities (quad biking, balloon flight, paragliding, hang gliding, bungee jumping, etc.). Help to organize outdoor activities (biking, tennis, bowling, billiards, as well as tours to Chernobyl and the exclusion zone). 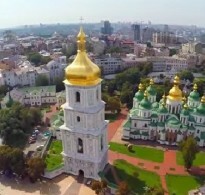 The capital of Ukraine is an unusual city. It wonderfully combines rich cultural and historical heritage, the rhythm of life of the European metropolis and lively nightlife. 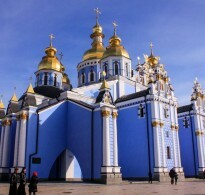 Visiting Kiev it is impossible not to fall in love with it. 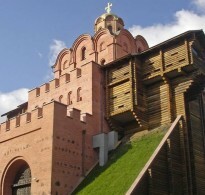 With great pleasure I will show you the most beautiful places of my native city and tell the little-known and interesting facts about the main showplaces. I love the bright colors of Vozdvizhenka, the Mariinsky park, but my favorite place will always be the park of Eternal Glory. 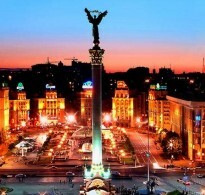 Night Kiev is not less beautiful, so I will be happy to show you restaurants, bars and clubs with beautiful views on glowing city. In addition, I will make a great company during a fun-filled dance in clubs, listening live music at the pub or with a microphone in karaoke. If you’ve always wanted to try something extreme or unusual, but cannot dare or could not find a company – with pleasure will support and organize this kind of pastime.